Here is a new addon I'm making of New Zealand's new Electron rocket. They're aiming to make their first launch in 2015, which if it succeeds would not only make New Zealand the 11th nation to perform an orbital launch with its own rocket, but would also start a trend of "smaller cheaper faster" in the launch industry. All textures come from the Rocket Lab web site. I used Blender for 3d modeling. The aim is to model a full mission, such as a small spacecraft delivery to a translunar trajectory. I don't know if that's realistic though. 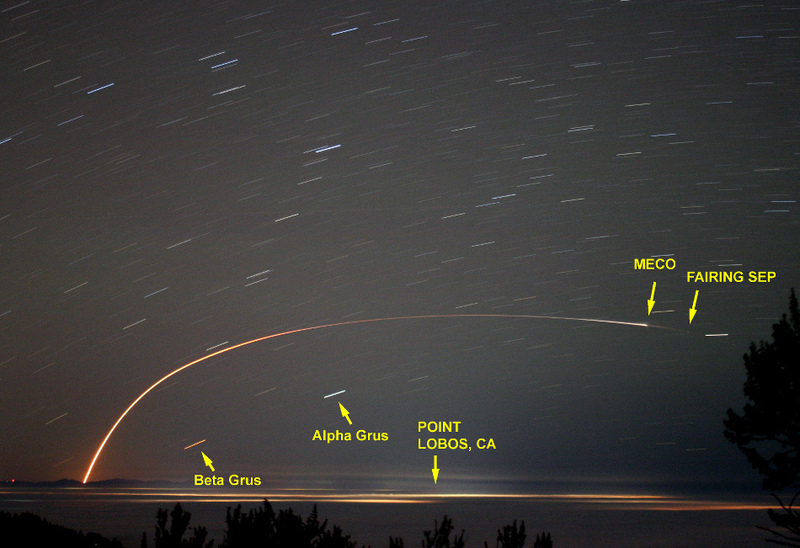 I'm currently trying to get NASA's GMAT to compile on my Mac so that I can generate some interesting trajectories. To simulate the atmospheric phase of an Electron launch, I tried using OpenRocket, a Java GUI originally designed for simulating model rocket launches. In the above screen, I roughly sketched out the two stages of the Electron vehicle using the measurements in my Blender model. As Electron will use composite materials for its hull, I specified carbon fibre for my OpenRocket model as well. There is no publicly available data on the thrust curve of the Rutherford engines powering the Electron, so I took the highest thrust motor O8000 available on ThrustCurve.org and scaled up the maximum thrust to match the peak thrust figure quoted for Rutherford on the Rocket Lab web site (146 kN for the 9-engine 1st stage cluster, or 16.2 kN/motor, and 18 kN for the 2nd stage vacuum motor). I also set the burn times for the engines to 114 seconds, which is about how long ESA's Vega burns for its 1st stage, and increased the propellant masses until the wet mass of the rocket was in the ballpark of the quoted figure of 10.5 metric tons. The problem is that all model rocket simulator programs like OpenRocket assume that you are using appendages such as fins to passively stabilize the rocket and cannot simulate active stabilization using a GNC system. Still, it's quite interesting to see how long such a large rocket can stay aloft even without stabilization. To be able to simulate active control, a different program is required. Apparently JSBSim, which is also used by the open source flight sim FlightGear, can allow you to model a rocket GNC system. This is not surprising, as the designer of JSBSim is Jon S. Berndt, a NASA rocket dynamics engineer. My plan is to try this next. Last edited by dirkpitt on Thu, 29-01-15, 11:32 GMT, edited 1 time in total. Normally, one would need to go about building a scale model and run a CFD sim or perform measurements in a hypersonic wind tunnel. However, I found a free program (unfortunately Windows-only, with no source code) called RASAero that can calculate various aerodynamic parameters through a wide range of Mach numbers in the specific case of a rocket with a nose cone and fins. This is an example of the plot output of drag coefficient versus airspeed (Mach number). You will notice the drag increasing dramatically just before Mach 1 (speed of sound). This illustrates the "sound barrier" nicely. There are two graphs: power-off is a simulation for gliding (unpowered) flight and power-on includes effects from the engine such as the rocket exhaust plume. The next step is to copy and paste numbers from RASAero into JSBSim. JSBSim is an open source flight dynamics simulator. It can simulate the flight of balloons, gliders, prop planes, jets, rocket-powered jets, and rockets. Importantly, I can program in GNC (guidance, navigation, control) logic to perform active stabilization during flight. JSBSim is a console program that takes xml files as input and outputs csv files (which can be plot in Matlab or Excel), linked to Simulink, or even stream output via telnet for remote "telemetry." A JSBSim model requires aircraft, engine, and script definitions. I based the file organization and GNC structure on the Jupiter-246 concept model available in JSBSim, but otherwise everything was done nearly from scratch. The masses of each major rocket part such as payload shroud, body tubes, engines, were specified as pointmass elements inside the mass_balance section of the aircraft definition, aircraft/Electron.xml. Only cylindrical and spherical (solid or hollow) shapes can be specified, so it ends up being an approximation of the geometry. The dimensions of each part are fairly well defined from Rocket Lab's web site, and I used masses previously estimated when trying OpenRocket. Engines are first defined in engine files (the engine and nozzle are separately defined in JSBSim). Here are example engine and nozzle files for the Rutherford engine. The Isp was guessed from other high-performing Kerosene liquid engines, and the mass flow rate was calculated using the relation where F is the thrust of the engine given on the Rocket Lab web site (146.6 kN peak, or 16.3 kN/engine) and g is the acceleration due to gravity 9.8 m/s^2. The mixture ratio 2.6 is a standard oxidizer to propellant mixture ratio for LOX/kerosene. Incidentally, LOX/Kerosene is the same proven combination used on the Saturn V moon rocket and SpaceX's Falcon 9. This NASA web site gives a nice introduction to the concept of specific impulse. Tanks are specified in the aircraft definition file, by giving the types (FUEL/OXIDIZER), locations, capacities, and drain locations. Tanks are "hooked up" to engines by specifying the tank number as feed elements in each engine. Aerodynamic coefficients are specified in the aerodynamics section in the aircraft definition file. Coefficients must be defined per axis; for Electron, I specified DRAG (axial) and LIFT (pitch/normal) axes. Normally, I would also need to define the SIDE (yaw) axis, but due to symmetry about the longitudinal axis, SIDE is equivalent to LIFT and there is no need to define both. RASAero was able to plot the drag coefficient CD versus alpha at Mach 0.1, 0.5, 1.1, 2.0, 5.0. It was also able to plot CD versus Mach number from 0 to 25. I defined tableData elements in JSBSim for these two plots. The first plot has two independent variables alpha and Mach number so the table is two-dimensional with alpha increasing from top to bottom, and Mach number increasing from left to right. The second table is just CD with Mach number increasing from top to bottom. I took the "power-on" sim values (exhaust plume effects included) as the rocket will likely be thrusting through most of its flight path. 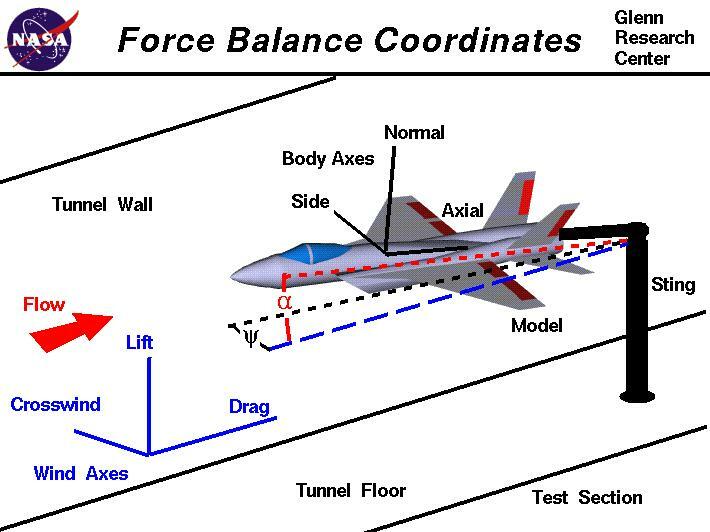 LIFT force, like DRAG, is also a factor of dynamic pressure, cross-sectional area, angle of attack, and Mach number. I defined another two-dimensional table with independent variables alpha and Mach number from a RASAero plot of lift coefficient CL. Next I will define the GNC parameters for stabilizing the rocket during flight. Let's take a break from aerodynamics, and see if we can improve the 3D model of Electron. Christophe (ElChristou) has offered his designer skills and has done a much better job at creating a more detailed model of the rocket! The golden cube is definitely the payload, but Christophe and I can't figure out what the rest of the parts are. The red outlined part below the payload is probably an upper stage kick motor (a rocket motor that would fire to boost the payload into its final orbit). But that's just a wild guess, and we don't know what the black hexagonal structure that is masking part of the upper stage(?) is. Is it part of the second stage? What are the tanks inside the hexagonal structure? etc. I sent an email to Rocket Lab last week asking about the upper stage. I addressed the email to the general media inquiry address at Rocket Lab, but imagine my surprise when the CEO replied personally! Apart from the fact that it was very cool to get a personal email from the head of a rocket company and that we know that we're on the right track, let's recap what our plan is so far. Christophe our designer decided to etch the big letters ELECTRON and the NZ logo onto the rocket instead of using textures. Let's talk launch trajectory design. from: "The New Zealand Herald"
Yes, the electric turbopump is interesting. A Tesla's worth of batteries (85 kWh, 0.5 metric tons, mass of motors is probably significant but not included in this simple calculation) could power the 1 MW turbopump for about 300 seconds, which is usually enough for the first stage and also according to my calculations part of the second.